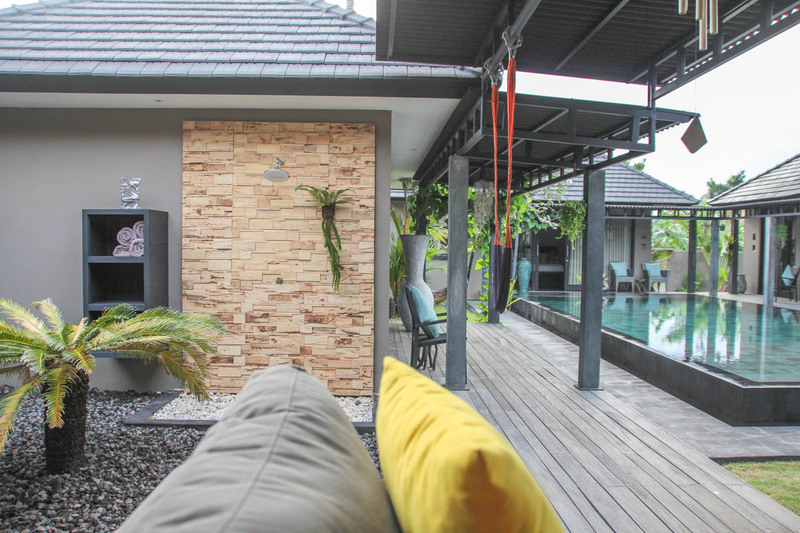 Villa Aiko is a contemporary, chic, single storey villa built in 2009 and freshly renovated at the end of 2016 resulting in an immaculate, flawless and stunning holiday ambience. Spread out into pavilion style living in the Balinese tradition, four luxury bedrooms are built around the central pool which glistens with azure clear waters. 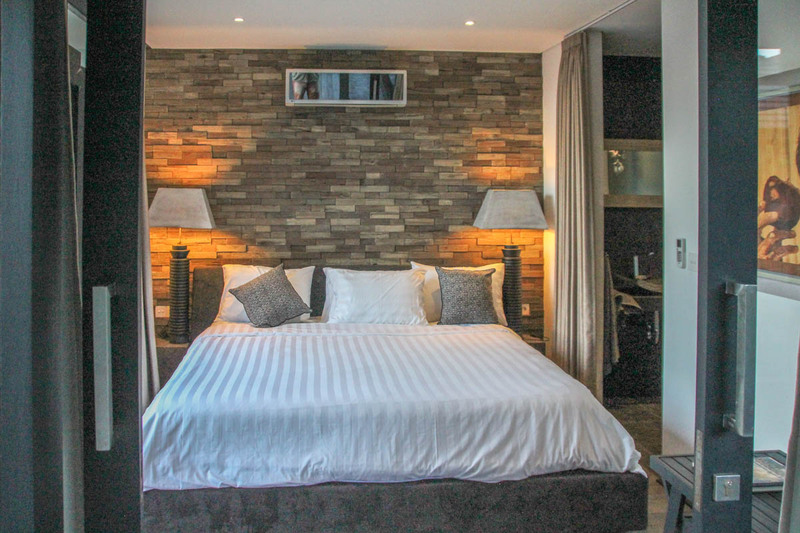 Each bedroom has an ensuite, and is finessed with crisp, quality bedlinen, rare artefacts and slick designer style by way of ambient lighting and classical-modern furnishings. The pool is the heart of this home, which provides ample al fresco dining space; a dappled and fragrant oasis from the bustling outdoor world. 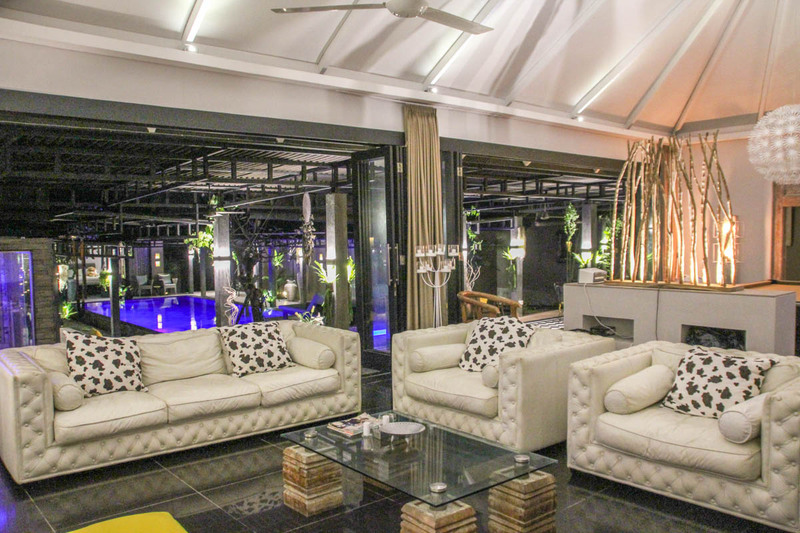 Ideal for families or groups alike, the spaces are open plan, offer high ceilings in the style of laid back luxury. 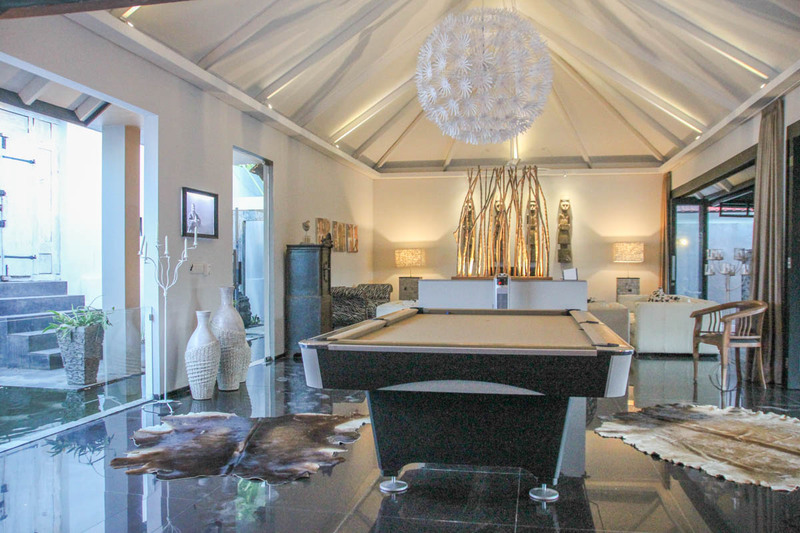 A great party “pad,” there is a large pool table in the living room, huge sofas, glossy hardwood flooring and stunning chandeliers. 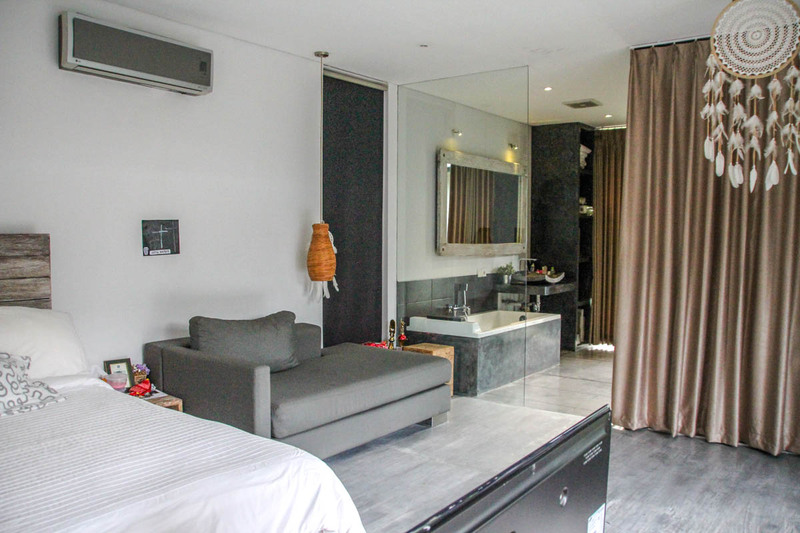 Fully geared up with all the modern touches: the bedrooms have fibre optic wifi access, with smart television and Netflix accounts and a sonos sound system around the villa. This space makes for ideal group meals, cocktail parties and entertaining. 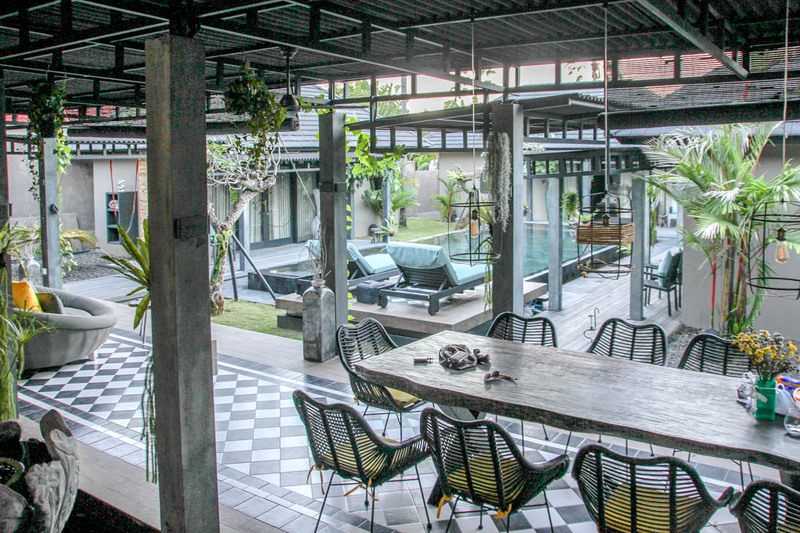 The kitchen is semi open air in the traditional Balinese style: it offers unadulterated light whilst the indoors and outdoors mingle seamlessly in the spirit of understated luxury. Accents of teak and stone, in a nod to the local raw materials, and a huge mystical Bhudda statue over the fish pond give this home a mystical delight. 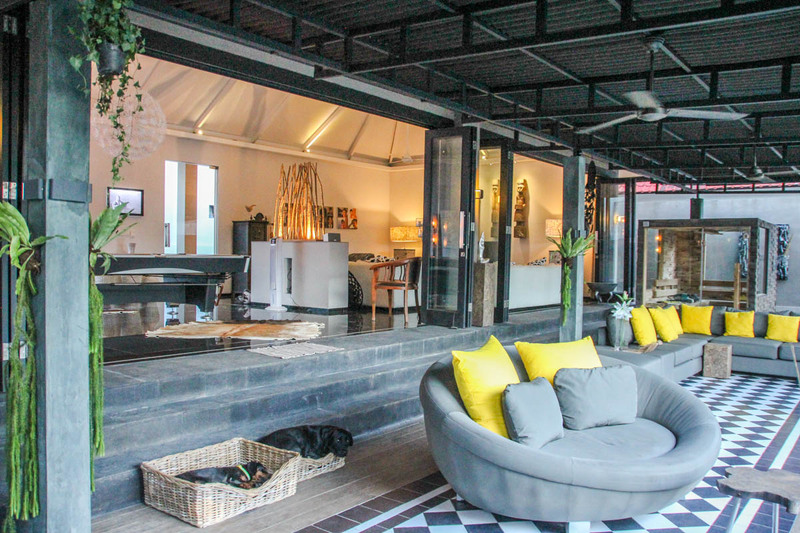 The outdoor spaces offer the last word in achingly cool Balinese style and contemporary design; there is an enormous covered terrace, ideal for group meals or drinks parties. There is also a sauna and massage table - perfect for some mid afternoon relaxation, or a post swim rub down. 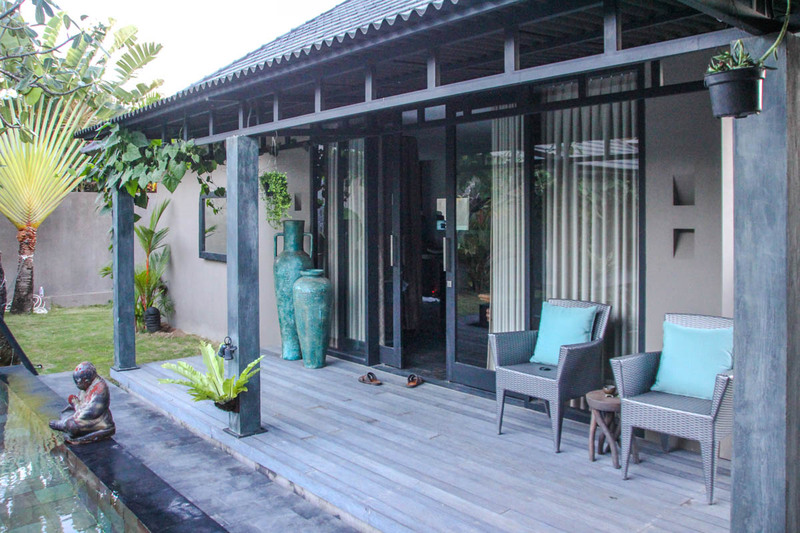 The entire space enjoys a lovely breeze throughout the day, by virtue of being among country fields and rice paddies. 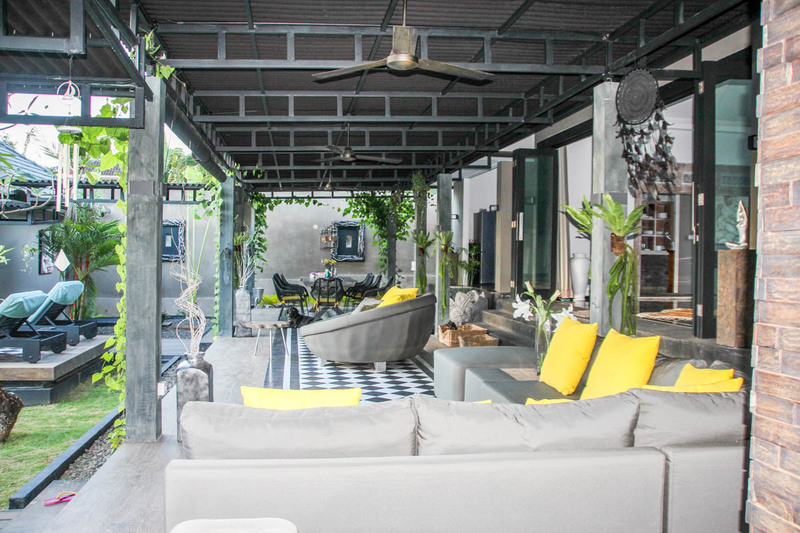 The back of the villa has a staff room, a parking area and a wonderful roof terrace which overlooks rice fields, swaying banana and coconut trees - this is a romantic nook from which to gaze across at the stunning sunsets. For a top of class, fully staffed experience which offers resort style convenience within the tranquil seclusion of a private, rural spot, simply look no further! 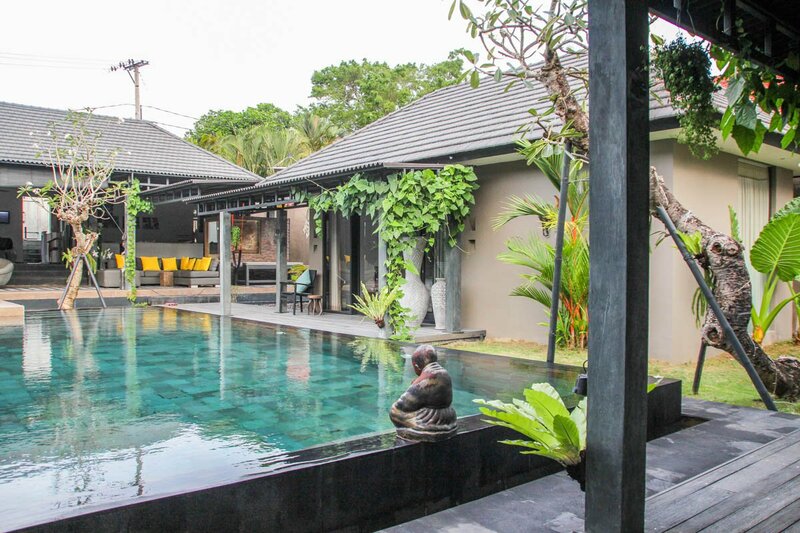 Villa Aiko is just outside Canggu on Bali’s wonderful south west coast, overlooking rice paddies. Bali has been touted as the ‘island of the gods’ because of its strong spiritual heritage and the thousands of temples that occupy the island. With mile upon mile of beautiful beaches in Bali, picturesque mountains and green countryside, the island has become a world class destination and a major influence in the world of architecture and design. Whilst Villa Anila benefits from the tranquillity of a rural location, close by Seminyak is an up-market beach resort at the southern tip of Bali, with high end shopping and restaurants, sleek bars and glittering nightlife. It is a playground for those who enjoy the finer things in life; foodies, fashionistas and the luxury set flock to this stylish paradise. There are wonderful nightly sunsets from Seminyak and Petitenget beaches, which are wide, west-facing stretches of Indian Ocean shoreline with pale sands and great surfing potential! These are among some of the most glorious beaches in Bali, offering up scale seclusion and well heeled spas and trendy boutiques. At just a few steps from Petitenget beach lies one of Bali’s major temples. The temple at Petitenget offers a tranquil oasis behind the glitzy five star appeal of Seminyak. Referred to by locals as “Pura Petitenget,” this centuries old temple is a must-see during the traditional dance rehearsals held regularly by locals in a grand nearby pavilion. The red brick and sandstone architecture add to its ancient appeal. The impressive dragon staircase leads to the temple’s vast courtyard, where a dozen shrines and small pavilions draped in traditional Balinese chequered cloths create a compelling sight. Petitenget forms one of the island’s Dang Kahyangan collections of sea temples that spiritually guard the island’s perimeters, initiated by the legendary Hindu priest Dang Hyang Nirartha on his historical mission from neighbouring island Java in the sixteenth century. From cooking classes, yoga retreats, detoxing, to learning to surf, Bali has so much to offer! 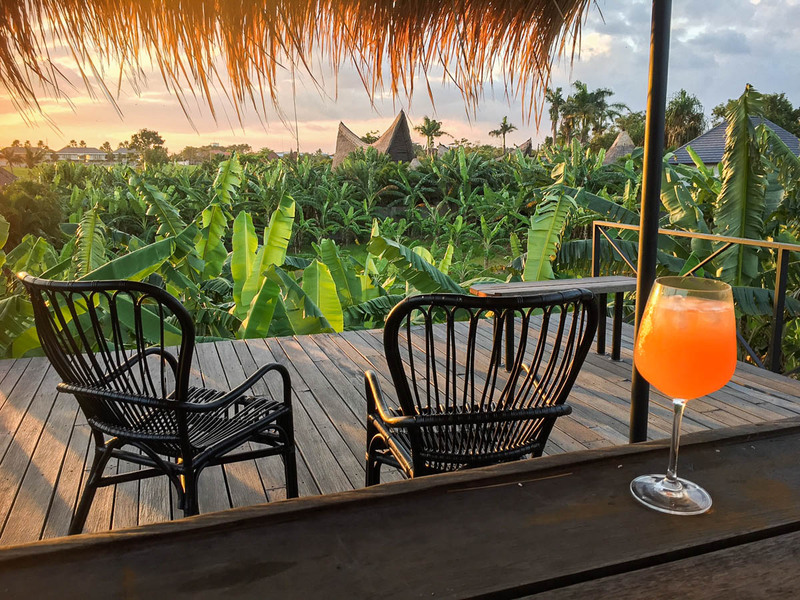 The array of beach clubs and cocktail bars will mean after hours entertainment is covered, whilst those in pursuit of local life will get lost in the colourful markets and serene rice paddies.